Researcher Xiaoting Zhang, PhD. from the University of Cincinnati recently received $1.8 million in funding over 5 years from the National Cancer Institute to continue his study of how the protein MED1 is involved with breast cancer. The University of Cincinnati researcher and his team are focusing on how this MED1 protein is involved with a specific type of breast cancer, HER2 (human epidermal growth factor receptor 2)-positive breast cancer. Through their research, the Cincinnati team has learned that MED1 is a protein that can activate the estrogen receptor in cells, which contributes to the growth of breast cancer. MED1 is a protein commonly located near HER2 and is frequently produced in exceedingly high quantities in breast cancer cells, yet when MED1 is eliminated, these cancer cells have been seen to stop growing. Through further research into MED1 and HER2-positive breast cancer, the Cincinnati team hope to see if MED1 has the potential to be a therapeutic target to help treat this form of breast cancer. This $1.8 million research grant is part of more than $84 million in current funding the university is receiving from the National Institutes of Health and related organizations. 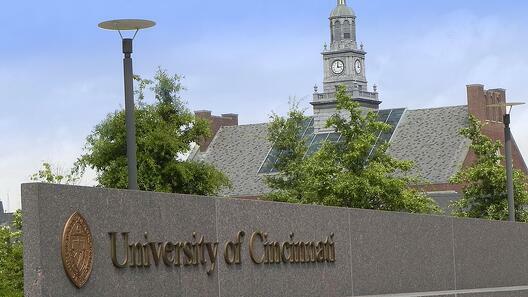 The University of Cincinnati is a top-ranked institution in terms of both funding received and research produced. In the 2013 fiscal year, the university ranked 35th in the nation in total R&D expenditures, exceeding $356 million. The Food and Drug Administration awarded $2.6 million for pharmacokinetic studies of Tacrolimus in transplant patients. Looking for an opportunity to market lab products, tools, and technology to active life science researchers in the highly funded University of Cincinnati marketplace? 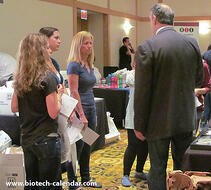 Biotechnology Calendar, Inc. hosts an annual BioResearch Product Faire™ Event in Cincinnati that provides lab suppliers with the chance to meet with PI's, lab managers, grad students, professors, post docs, and purchasing agents all in one place. The 14th Annual BioResearch Product Faire™ Event in Cincinnati is coming up on Friday, August 7, 2015. The 2014 event brought together researchers from 14 on-campus buildings and 31 academic departments with laboratory product suppliers.